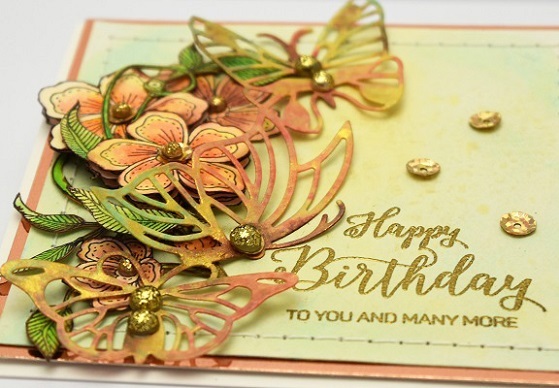 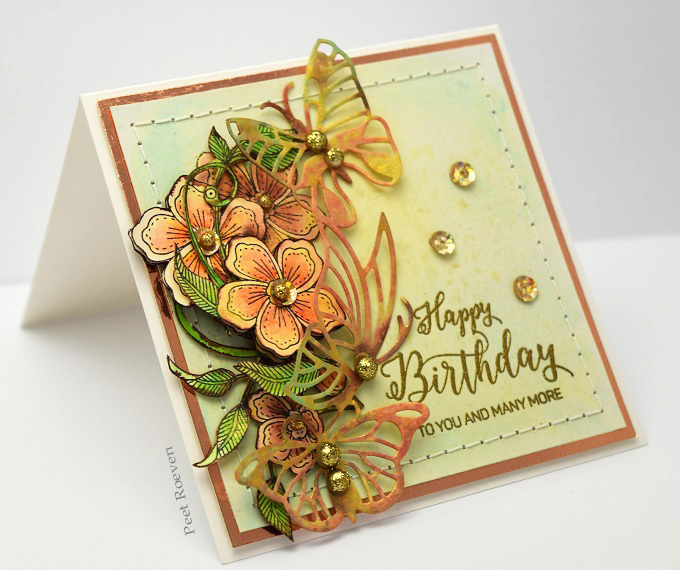 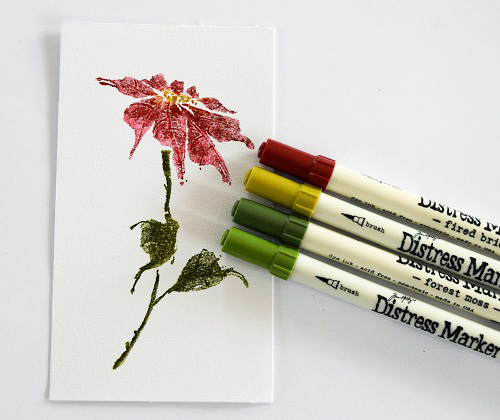 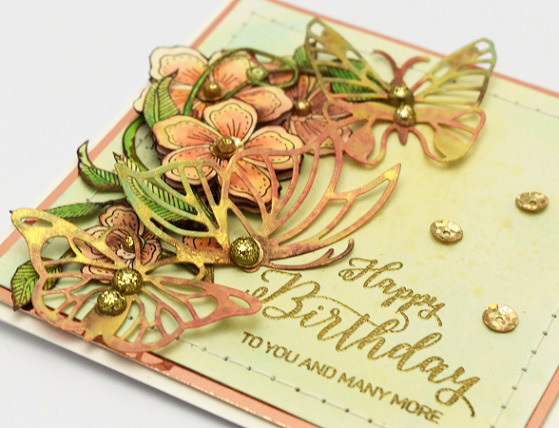 Distress inks, gold glimmer mist, versamark ink, gold embossing powder. 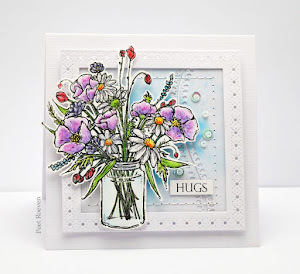 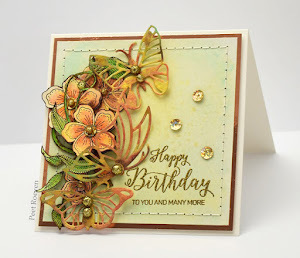 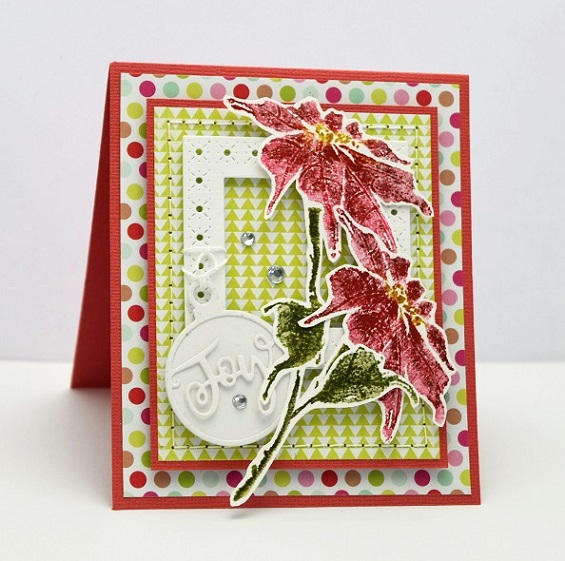 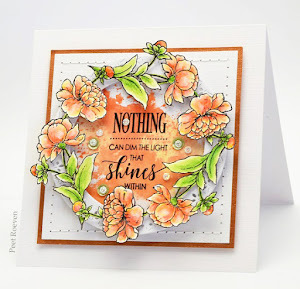 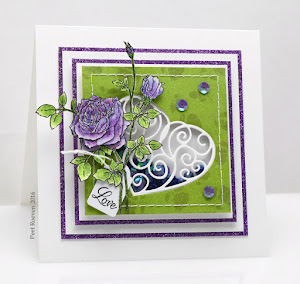 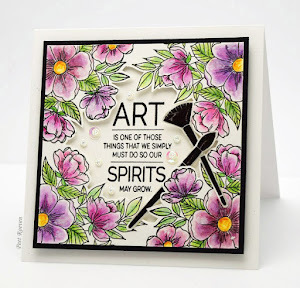 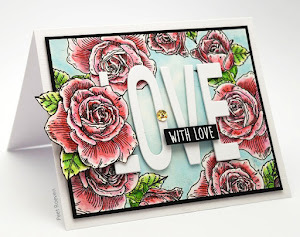 This card was made using the wonderful holiday 2017 collection from Penny Black. 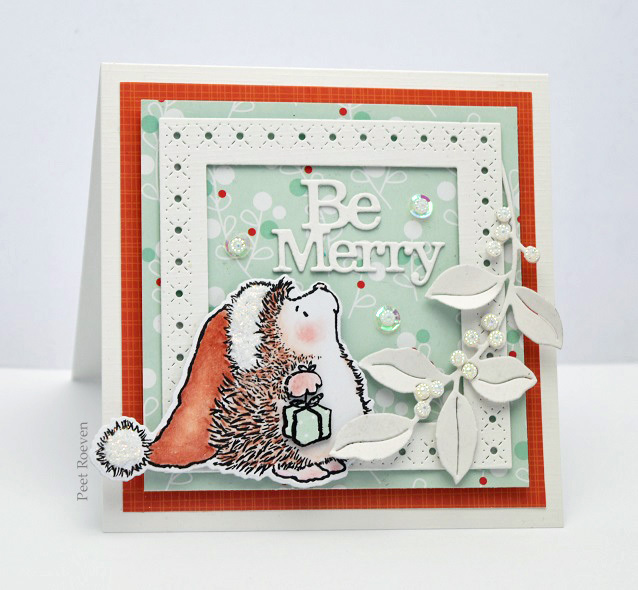 You can view the complete Be Merry catalog by clicking HERE. 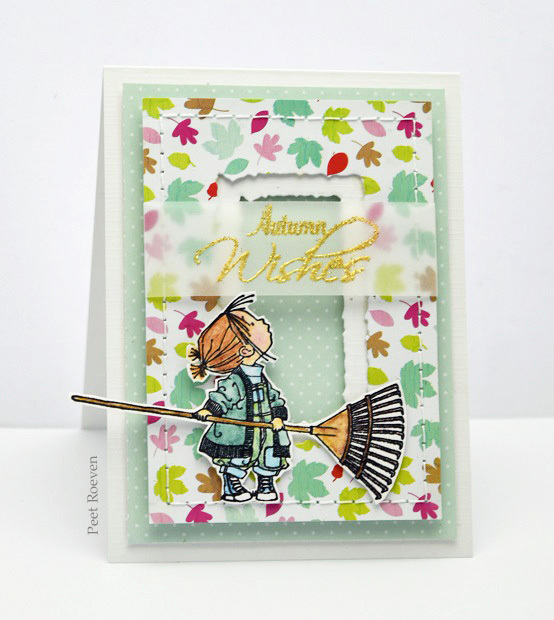 Click HERE to view the Hello Autumn catalog. 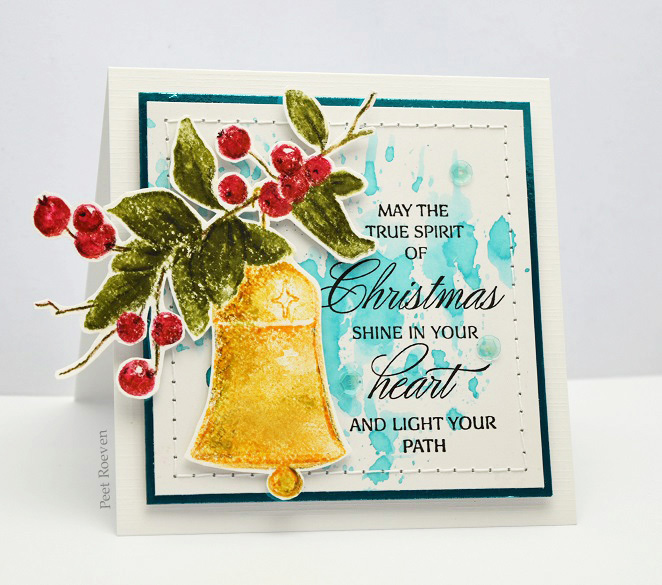 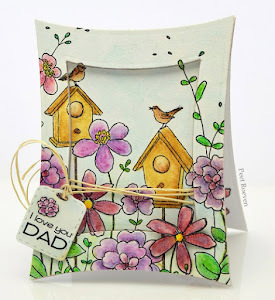 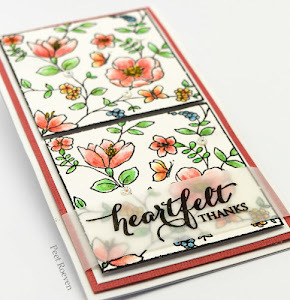 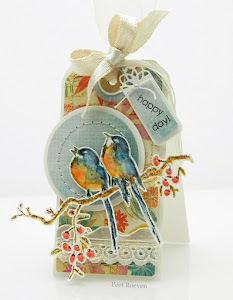 Bell & Berries stamp was coloured with Distress Inks & Derwent Inktense Pencils. 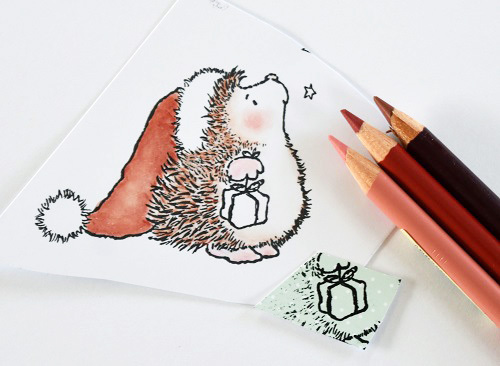 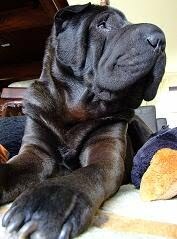 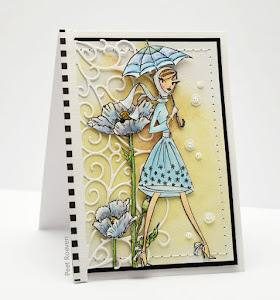 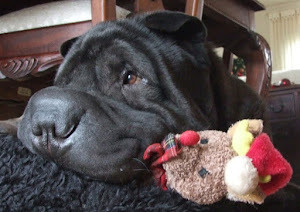 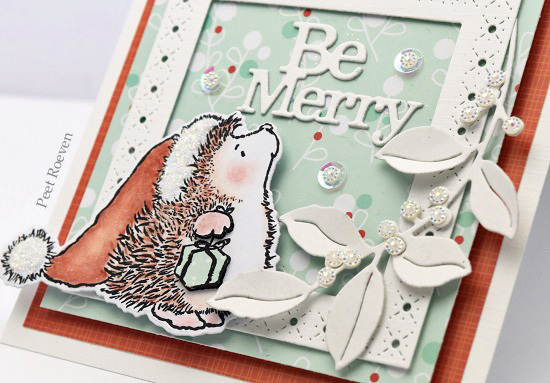 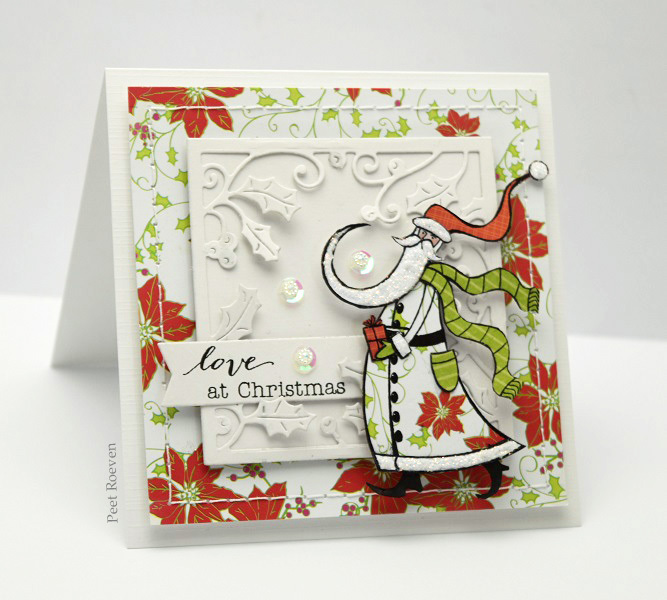 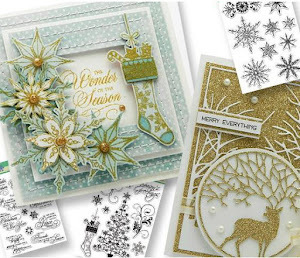 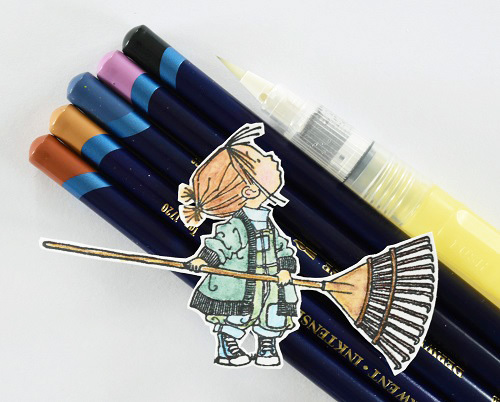 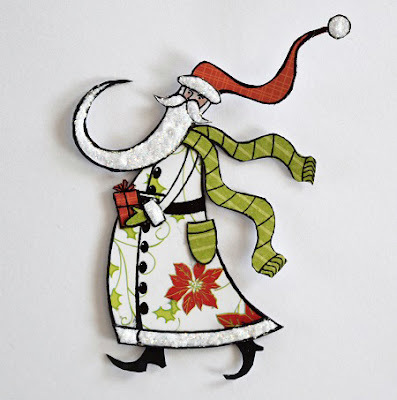 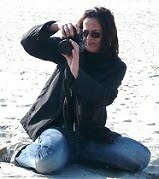 Check out the Penny Black blog for a giveaway and a Holiday Challenge.